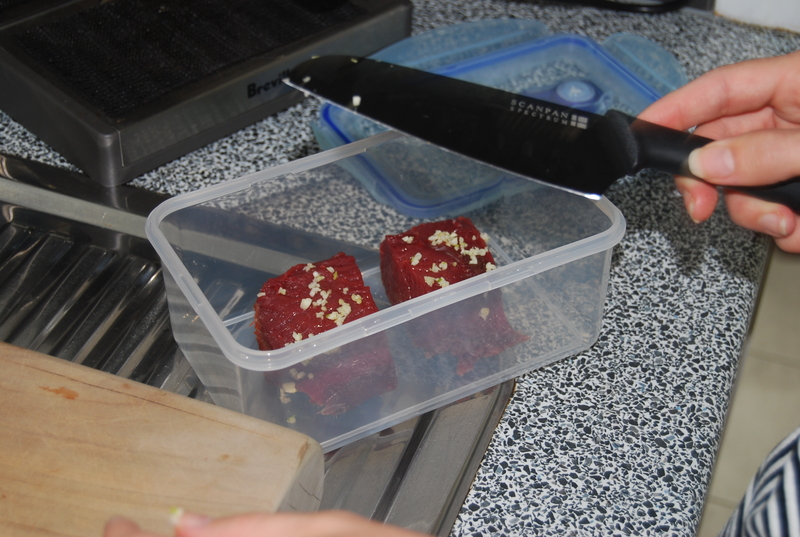 Trim the skin and gristle off meat and if desired cut the steak in half (to make two smaller Wellingtons), then place meat in a dish. Combine Soy Sauce with 1 clove of crushed garlic and spoon the mixture over the meat. Cover and refrigerate for at least 4 hours to marinade. In the meantime make the pastry and refrigerate until needed. Heat 1 TBSP of oil in a small pan, saute the onions and remaining garlic until soft and clear. Add sliced mushrooms and cook over low heat. 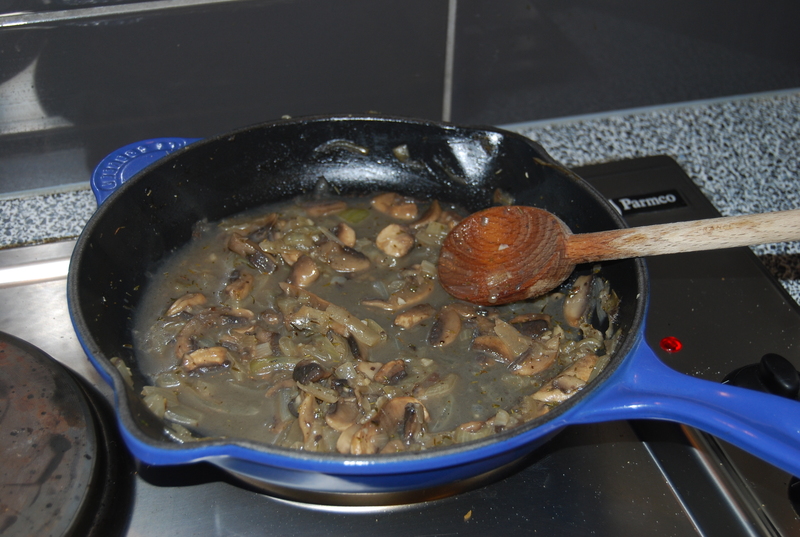 Once mushrooms have reduced in size, darkened and moist, sprinkle over thyme and salt and pepper. Stir well. Pour 1 1/2 Cups of the chicken stock over the mushroom mixture and simmer over low heat until most of the liquid has gone. Remove from heat and set aside. In another pan, heat the remaining oil, once hot, add the meat and quickly seer on each side, taking care to not to cook the meat! Roll out the pastry to 3mm thick. Spread over pâté leaving a border of about 3cm. 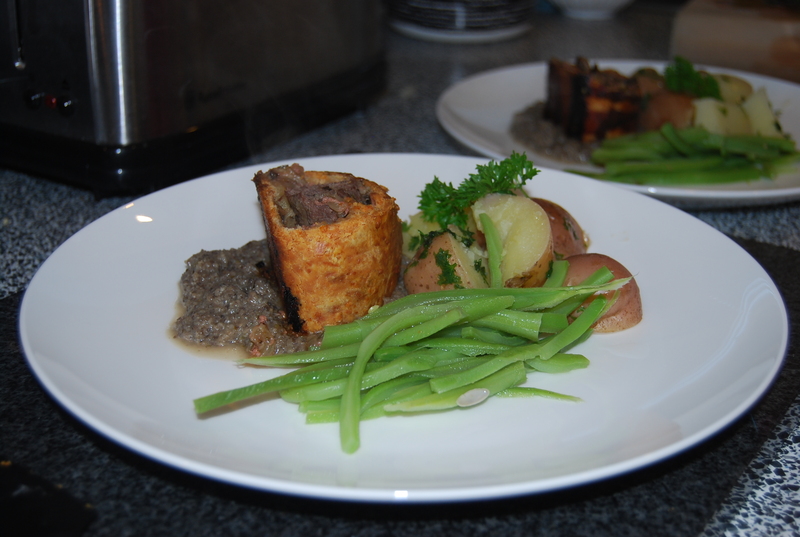 Place 2/3 of the mushroom mixture evenly on top of the pâté (the left over mushroom mix will be used to make the sauce). 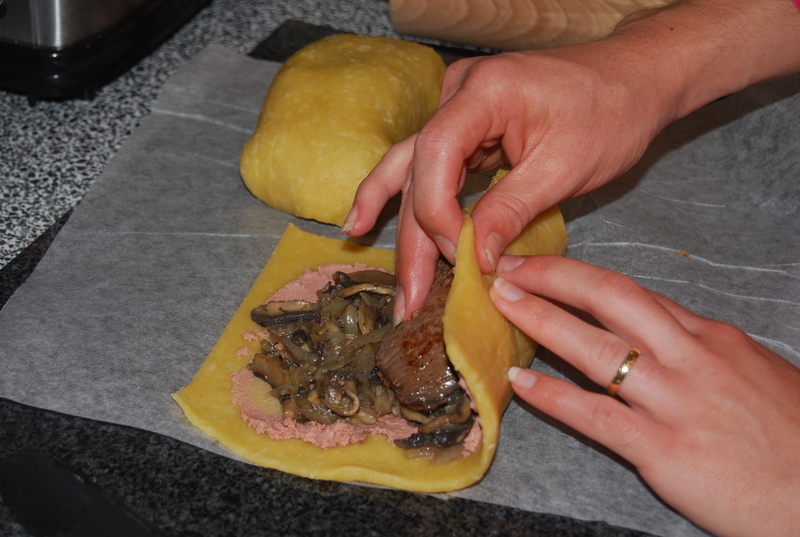 Place meat in the centre of the pastry and carefully roll pastry up and seal the ends to make a parcel. Brush the top of the parcel with some milk. Place on a baking or roasting dish and bake in oven at 180°C for about 50 minutes or until golden. Just before removing the Venison Wellington from the oven, heat through the remaining mushroom mixture (add the remaining chicken stock if a thinner sauce is desired), then purée. 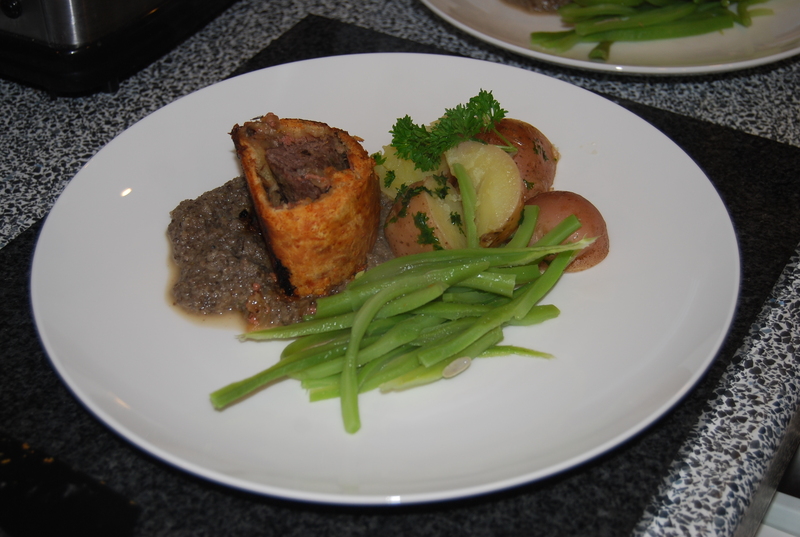 Remove the Venison Wellington from the oven, cut into thick slices (5-6 cm) and serve on top of mushroom sauce. Enjoy!